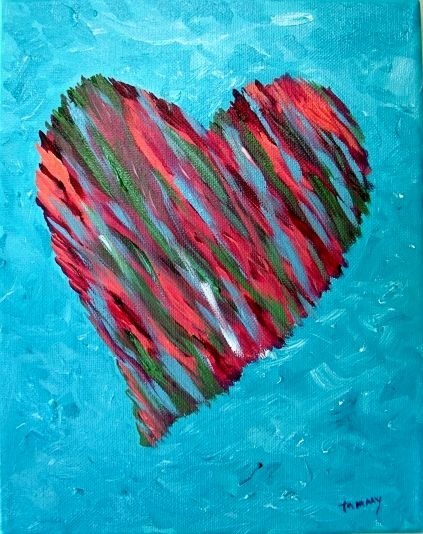 © 2014 Tammy Kaufman - All My Heart - acrylics on canvas 10" x 8"
As such, with much gratitude to my wonderful husband for all his technical assistance, I've launched my new artist website and art blog, Facebook page, and Fine Art America page. I will, of course, continue to update this blog with the goings-on of my life, but hope you'll also visit me on one or all of my art sites to keep up with my artistic endeavors! Please click on any of the following to head over to the new sites - pages will open in a new window.